It is possible to powder coat chrome? 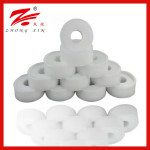 Fluorine is the raw material with the professional terms, is commonly used in a plumbing installation accessories, for pipe connections, to enhance the tightness of the pipe connections. Fusu industry is supporting industries, it is generally sold with the plumbing industry, so most consumers in this industry is relatively new. 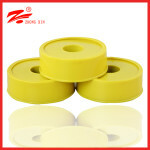 Although the industry is relatively rare attribute, but with a very versatile raw material, which has extremely excellent insulation, strong chemical stability and good sealing performance, are widely used in mechanical, chemical, metallurgy, electric power, shipbuilding, aviation aerospace, pharmaceutical, electronics and other industrial fields. 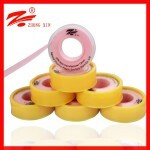 Our company is specialized in the production of raw material with sealing tape and other professional-oriented enterprises. 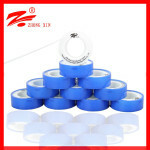 Over the years, by virtue of the use of imported materials and advanced production technology, good quality, complete specifications, it has occupied a seat in the market tide. However, while the company good momentum of development, when sales booming, Nanan raw material with the plant manager has maintained a clear mind, in the homogenization of serious market environment, if not their core business competitiveness, it is difficult to seek new development. 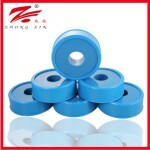 He realized that the existing production equipment has entered the “aging”, the production efficiency to keep up with, but also wasted a lot of resources, improve production processes, reduce production costs is imperative. As early as May of this year, our factory began to proceed rectification equipment, the introduction of a large amount of money and environmental protection equipment. 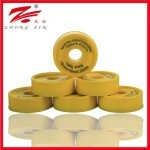 According to company personnel, the production of raw PTFE raw material belt. From raw materials (powdered) processed into a strip process, the need to add kerosene catalysis. After the catalytic process, kerosene direct emissions, utilization inadequate, resulting in a lot of waste, but the introduction of this environmentally friendly equipment, not only to achieve the effect of energy conservation, but also improve the use of resources. 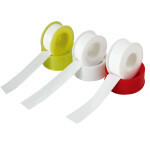 Our factory is specialized in producing Teflon tape manufacturers. 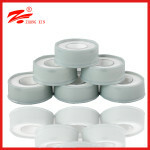 Companies in manufacturing all kinds of Teflon tape has accumulated a wealth of experience, has been ready to provide customers with a perfect and efficient services. 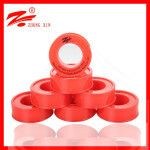 Excellent quality, the price is competitive with raw material making factory Nanan in domestic and foreign market reputation, and with many customers to establish a close cooperative partnership.